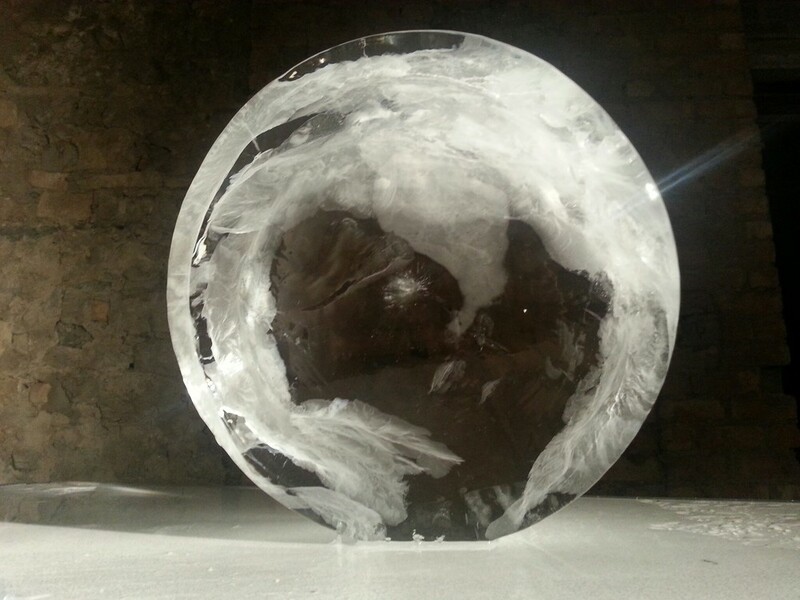 Obscura [Ice], Wendy Leah Dawson, Llawn01 - Haus of Helfa, 2013. Sometimes I will play with a lens, pick it up and hold it to the light, turn it over and look at the light bouncing off the glass, through it, and onto the surfaces around me, time disappears and the object becomes everything. The Camera Obscura on the Great Orme in Llandudno allows the viewer to experience the power of a lens in a similar way, purely for the curiosity of their own amusement, a moment of time described by light and then gone. The lens here is made from ice, it influences the light for an instant, and as the Camera Obscura captures the world for a moment so does the ice lens, continually changing and moving. It is as much about the object as it is about the light.